Read more at http://www.brainyquote.com/quotes/authors/d/democritus.html#Ti0otIFKyo1RksRu.99“I would rather discover one true cause than gain the kingdom of Persia1. There exists at least one (empirical) principle that is true at describing an invariable relationship of the empirical world. (expressed) 2. There exists at least one possible (empirical) principle that is true at describing an invariable relationship of the empirical world. (expressed or not express3. There exists at least one invariable relationship of the empirical world. The answer to this question, is answered in the affirmative by some and answered in the negative by some. Affirmative: There does exist at least one causal relationship between events. Negative: There doesn’t exist at least one causal relationship between events. Both answers to the question are logically possible. There is no self-contradiction in either proposition. So it is possible that there does exist at least one causal relationship between events & it is possible that there doesn’t exist at least one causal relationship between events. Suppose that we have someone similar to Democritus, they would be searching for at least one true causal relationship. It is possible that they don’t find what they are searching for since it is possible that there doesn’t exist at least one causal relationship between events. So we can have the Aim of Searching for Universal Laws, but that doesn’t mean that what we search for is true or that we will find what we search for. In both cases we would neither be able to find what we search for (since it doesn’t exist) nor search for what is true (since it isn’t true). We can have a methodological principle that there does exist at least one causal relationship between events. All our actions would be consistent with this methodological principle, but none of this is asserting that there actually does exist at least one causal relationship between events because it is possible that there doesn’t actually exist at least one causal relationship. This implies that our assertion was false, which implies that we didn’t find at least one true causal relationship. The whole endeavor would be predicated on a fiction, and everything produced within the endeavor would be fictional as well. Even the single processes, or plural processes, used in this endeavor would only have input of fictions and output of fictions. It would be similar to comic books, having fictional characters as input in their process and fictions as the output in their process. Suppose that there actually does exist a causal relationship between events. It is logically possible that both there exists at least one causal relationship between events & we don’t know this one causal relationship between events. However, it is logically impossible that we know both there exists at least one causal relationship between events & we don’t know this one causal relationship between events. Suppose we know that both there exists at least one causal relationship between events & we don’t know this one causal relationship between events. It follows that, we know there exists at least one causal relationship between events and we know we don’t know this one causal relationship between events. We know there exists at least one causal relationship between events & we don’t know this one causal relationship between events. This is a contradiction, so it is necessary we don’t know both there exists at least one causal relationship between events & we don’t know this one causal relationship between events. From all this it follows we don’t know there exists at least one causal relationship. Since we don’t know there exists at least one causal relationship, it means that we can’t know that there exists at least one causal relationship. The very Aim of the Search for Universal Laws would be of something that you can’t possibly know, even if you did obtain what you were searching for. Karl Popper helped to present the principle that separates scientific statements from non-scientific statements. This separation was based on principle of falsifiability. One of the things that follows from the principle of falsifiability is that those scientific statements that are highly improbable have more scientific content. Those statements that are improbable say more about world. The content of an empirical statement is based on simple logical observation. Suppose that we have the statement (1) “Ravens won Superbowl 35 and Ravens won Superbowl 47”. This statement is a conjunction, and joins two individual statements. These individual statements, respectively, are (i) “Ravens won Superbowl 35” and (ii) “Ravens won Superbowl 47”. The content of statement (1) is greater than each part. For example, (i) says more than (ii), and vice versa. The Ravens winning Superbowl 35 doesn’t say anything about winning Superbowl 47, or vice versa. Here is another example, but a more general example. (2) All ravens in North America are black. This statement is a conjunction, in some sense. Because we can say it has three parts. (i) All ravens in US are black, (ii) All ravens in Canada are black, and (iii) All ravens in Mexico are black. So the content of (1) is greater than “The Ravens won Superbowl 47”, and the content of (2) is greater than “All ravens in US are black”. Content of “the Ravens won Superbowl 35” ≤ Content of “the Ravens won Superbowl 35 & the Ravens won Superbowl 47” ≥ Content of “the Ravens won Superbowl 47”. Content of (1) is greater than or equal to the Content of (i) and the Content of (ii). Probability of “the Ravens won Superbowl 35” ≥ Probability of “The Ravens won Superbowl 35 and the Ravens won Superbowl 47” ≤ Probability of “the Ravens won Superbowl 47”. Probability of (1) is less than or equal to the Probability of (i) and the Probability of (ii). So we immediately notice something. When we combine statements, the content increases and the probability decreases. So an increase in probability means a decrease in content, and increase in content means decrease in probability. Let us work with the second example, i.e. (2) All ravens in North America are black. This statement would only be true if all the individual parts of it are true. This means that (2) can only be true if all ravens in Canada are black, and all ravens in US are black, and all ravens in Mexico are black. Supposing that all ravens in Canada aren’t black because there exists a raven in Canada that is white, shows that (2) is false. It shows that (2) as a conjunction is false, and shows that (ii) is false. But this doesn’t show that (i) and (iii) are false. All ravens in US or Mexico are black, hasn’t been falsified yet. (2) would be false because for a conjunction to be true both of it’s parts or conjuncts must also be true. If one of them is false, then the whole conjunction is false. We immediately find that those empirical statements that have more content are going to have lower probability. And those empirical statements that have lower probability are also easier to falsify. It is easier to find out if they are false, and help us to make progresses. For example, we find that hypothesis (2) has a lower probability than each of its parts. But finding out that this hypothesis is false by observation will eliminate either one of its conjunctions, like eliminate (ii) and not eliminating (i) and (iii). These hypothesis not being eliminated means it opens progresses of science. It shows what is false, which informs us of a modification need to make. In making this modification we learn that (i) and (iii) haven’t been falsified. So our new hypothesis would have to contain both (i) and (iii), and also the falsification of (ii). This new empirical statement would also have more content, it contains (i), ~(ii), and (iii), as part of its content. It contains both what hasn’t been shown false yet, and also shows what has been false. Hume’s logical problem of induction as Hume presents it and Popper presents it, deals with contingent statements. The affirmation or the negation of the same contingent statement is possible. Take the contingent statement that “All Swans are White”: It is both possible that “All Swans are White” and it is also possible that not “All Swans are White”. Logic alone cannot decide if “All Swans are White” is either true or false. So it would be decided by some other way as to wither its affirmation or negation to be true. Hume, and Popper, say that experience cannot show the truth of the contingent statement “All Swans are White”. Hume, as Popper takes him in his problem of induction, showed that we cannot show that (H) is true, no matter how many individual swans that are white we have observed. To show that (H) is true, we must verify every case of (H). (H) is a Universal statement, its scope is that of all times and all places. The universal statement is both omnipresent and omnitemporal in its scope. It makes no restriction on temporal location and spatial location. (E) makes a Singular statement, its scope is of a particular time and a particular place. It makes a restriction on temporal location and spatial location. Popper held that we can know (E) is true, ‘This is a Black Swan’. Thus, we cannot know (H) All Swans are White but we can know (E) This is a Black Swan. (i) Science proposes and uses laws everywhere and all the time; (ii) Only observation and experiment may decide upon the truth or falsity of scientific statements; (iii) It is impossible to justify the truth of a law by observation or experiment. (i*) Science proposes and uses the universal statement “all swans are white”; (ii*) Only singular observational statements may decide upon the truth or falsity of ‘all swans are white’; (iii*) It is impossible to justify the truth of the universal statement ‘all swans are white’ by singular observational statements. It is taken as a fact that (i) or (i*) is true. So there is no question about either (i) or (i*). So the conflict of Hume’s logical contradiction arises between (ii) and (iii) or (ii*) and (iii*). Popper accepts (iii) or (iii*). So the only way out of Hume’s logical problem of induction is to modify or reject (ii) or (ii*) to solve the contradiction. Popper thus solves Hume’s logical problem of induction by rejecting (ii) or (ii*) and replacing it with a new premise. This new premise is (~ii). (~ii*) Only singular observation statements may decide upon the falsity of ‘all swans are white’. Popper rejects (ii) or (ii*), which basically said that only singular observation statements can show that either universal statements are true or false. Popper rejects this because of (iii), and says that Singular observation statements can only show that universal statements are false. Popper believes, as the quote at the beginning of the blog says, that Hume’s logical problem of induction doesn’t show that we can’t show that a universal statement is false by a singular observational statements. But is this what Hume showed to be true? It does not appear that Hume’s logical problem of induction even allows Popper to escape with the modification of (ii) to (~ii). It appears that Hume’s logical problem of induction does not allow Popper to escape from “fully decidable” to “partially decidable”, i.e. decide both truth or falsity to cannot decide truth but only falsity. Take the singular observational statement that Popper gives in the quote, i.e. ‘This is a black swan’. It is a singular statement, but the statement contains a universal within it, it contains “swan”. “Swan” are defined by their law-like behavior, which are their dispositional characteristics, and is a universal concept. These dispositions are law-like, and thus universal in scope as well. And by (iii) we cannot determine if something is a “swan” because of that. The concept “swan” is in the same position as “all swans are white”. They are both universal, and because of (iii) cannot be shown to be true. “Alcohol” has the law-like behavior, or disposition, or being flammable. So if we were to say that ‘This is alcohol’. We would have to check all the alcohol that existed in the past, present, future, and all places in the universe in which it was located. We would have to light them to see if they catch fire, and thus flammable. Only than could we say that “This is alcohol”, and know that it is alcohol. But to do so would be to verify a universal through singulars, which is impossible by (iii). In fact, Hume even talks about dispositions and law-like behavior in his talks about the problem of induction. For example, Hume says that “we always presume, when we see like sensible qualities, that they have like secret powers, and expect that effects, similar to those which we have experienced, will follow from them.” Hume is specifically attacking dispositions as well, which means he is attacking universal concepts and universal statements. From Popper’s point of view, science can only show the falsity of a universal statement through the truth of a singular statement. The singular statement would have to contradict the universal statement and the singular statement would have to be true. (h) If it rained then wet ground. If we assume that both (h) and (e) are true, then we accept a contradiction. Contradictions can’t possibly be true. So we know that at least one of these two must be false. But which one is false and which one is true, (h) or (e). But how can we show the truth of a singular observational statement when it relies on a universal concept, and universal concepts fall for (iii) just as much as universal statements? Hume’s position of the logical invalidity of of induction, i.e. (iii), also holds not only with universal statements but also universal concepts, i.e. law-like behavior/ dispositional characteristics. How does Popper respond to this? Popper accepts the invalidity of reaching universal statements through experience, but takes it that we accept singular observational statements based on conventions. We conventionally accept the singular observation statement as true. Now we may either accept (H) as a convention or accept (E) as a convention, or both as conventions. Popper rejects accept (H) as a convention, because you cannot show that a convention is false. Showing something false is what (~ii) was used to solve the original problem of induction. He wants to show that (H) is false, which is consistent with (~ii), but the only way to do that is if (E) can be shown true. But (E) contains a universal concept and (iii) prevents us from experiencing dispositions or law-like behaviors, i.e. Swan or Alcohol. (iii) applies just as much to universal statements as it does to universal concepts. (E) is based on universal concepts and so has to be accepted as a convention, to escape (iii), in order to show that (H) is false and be consistent with (i) and (~ii). (H) has to have the ability to be shown false to be falsifiable, and not being a convention means it has the ability to be shown false. Contrary to what Popper thinks, Hume’s logical problem of induction doesn’t even allow you to show a falsifying instance. Thus, following full implications of Hume’s logical problem of induction, we can neither show the truth of a universal statement or show the falsify of a universal statement. All those things in italics come from Popper, and those that are in bold & italics are my own personal emphasis and not Popper’s. But before I get to that, I want to start out by making one big distinction. There is the distinction between statements that are logically necessary and those that are logically contingent. Logically Necessary: For each x, if x is logically necessary, then x’s affirmation is logically possible and x’s negation is not logically possible. Logically Contingent: For each x, if x is logically contingent, then x’s affirmation is logically possible and x’s negation is logically possible. Popper thinks that things that are Logically Necessary are not in the domain of empirical science. Logically Necessary statements make no claim about reality or what exists, while those things that are Logically Contingent do make claims about reality or what exists. Logically Contingent statements are what empirical science deals with. But from within this domain of Logically Contingent statements, Popper is going to make a distinction. His distinction is basically this: Not for every statement, if statement is logically contingent, then logically possible for humans to verify that statement is actually true instead of possibly true. This is because it relies logical distinction between singular statements and universal statements. “The raven is black in color” or “There exists at least one x, such that x is raven and x is black in color”, are examples of “Singular statements”. They are a proposition that asserts that a particular individual has (or has not) some specified attribute. “All ravens are black in color” or “For every x, if x is raven, then x is black in color”, are examples of “Universal statements”. They are a proposition that refers to all the members of a class. The members of class could have all sorts of particular individual things contained in them, like all ravens that have existed, are existing, or will exist. This can be logically infinite domain in time and space. Singular statements are at specific times and specific places, not all times and all places. So these are logically distinct from one another. One of the basic points is that sense experience, or observation, is of particular things or individuals. We do not have sense experience, or observation, of all times and places, or all things that have existed, are existing, or will exist. In other words, observation only gives singular statements but science, or empirical science, seeks universal statements that apply to all particular things, for all times and all places. Empirical science is seeking universal statements that apply to singular statements, like universal statements that apply to all particular ravens. “The fact that theories are not verifiable has often been overlooked. People often say of a theory that it is verified when some of the predictions derived from it have been verified. They may perhaps admit that the verification is not completely impeccable from a logical point of view, or that a statement can never be finally established by establishing some of its consequences. But they are apt to look upon such objections as due to somewhat unnecessary scruples. It is quite true, they say, and even trivial, that we cannot know for certain whether the sun will rise tomorrow; but this uncertainty may be neglected: the fact that theories may not only be improved but that they can also be falsified by new experiments presents to the scientist a serious possibility which may at any moment become actual; but never yet has a theory had to be regarded as falsified owing to the sudden breakdown of a well confirmed law. It never happens that old experiments one day yield new results. What happens is only that new experiments decide against an old theory. The old theory, even when it is superseded, often retains its validity as a kind of limiting case of the new theory; it still applies, at least with a high degree of approximation, in those cases in which it was successful before. In short, regularities which are directly testable by experiment do not change. Admittedly it is conceivable, or logically possible, that they might change; but this possibility is disregarded by empirical science and does not affect its methods. On the contrary, scientific method presupposes the immutability of natural processes, or the ‘principle of the uniformity of nature’. There is something to be said for the above argument, but it does not affect my thesis. It expresses the metaphysical faith in the existence of regularities in our world (a faith which I share, and without which practical action is hardly conceivable). *1 Yet the question before us— the question which makes the non-verifiability of theories significant in the present context—is on an altogether different plane. Consistently with my attitude towards other metaphysical questions, I abstain from arguing for or against faith in the existence of regularities in our world. But I shall try to show that the non-verifiability of theories is methodologically important. It is on this plane that I oppose the argument just advanced. I shall therefore take up as relevant only one of the points of this argument—the reference to the so-called ‘principle of the uniformity of nature’. This principle, it seems to me, expresses in a very superficial way an important methodological rule, and one which might be derived, with advantage, precisely from a consideration of the non-verifiability of theories. *2 (I mean the rule that any new system of hypotheses should yield, or explain, the old, corroborated, regularities. See also section *3 (third paragraph) of my Postscript. Let us suppose that the sun will not rise tomorrow (and that we shall nevertheless continue to live, and also to pursue our scientific interests). Should such a thing occur, science would have to try to explain it, i.e. to derive it from laws. Existing theories would presumably require to be drastically revised. But the revised theories would not merely have to account for the new state of affairs: our older experiences would also have to be derivable from them. From the methodological point of view one sees that the principle of the uniformity of nature is here replaced by the postulate of the invariance of natural laws, with respect to both space and time. I think, therefore, that it would be a mistake to assert that natural regularities do not change. (This would be a kind of statement that can neither be argued against nor argued for.) What we should say is, rather, that it is part of our definition of natural laws if we postulate that they are to be invariant with respect to space and time; and also if we postulate that they are to have no exceptions. Thus from a methodological point of view, the possibility of falsifying a corroborated law is by no means without significance. It helps us to find out what we demand and expect from natural laws. And the ‘principle of the uniformity of nature’ can again be regarded as a metaphysical interpretation of a methodological rule—like its near relative, the ‘law of causality’. We can verify singular statements, it is logically possible for us to find out if that statement is true. If we have not verified that it is actually true, we cannot infer that it is actually false. It is still logically possible that it is true. So we find out that we can, at least in principle, verify the truth of a singular statement. However, it is not logically possible for us to affirm a universal statement, like empirical claims of science. However, we can show that they are false. We cannot verify them but we can falsify them. We falsify these universal statements with one singular statement, or one observation, which the universal statement does not logically allow for, i.e. says is not logically possible to be true if the universal statement is true. This can be shown by simple modus tollens. Universal Statement: All ravens are black. Singular Statement: This raven is white. Conclusion: Some ravens are not white. Universal Statement: No ravens are not black. Singular Statement: This raven is not black. Conclusion: Some ravens are not black. Universal Statement: For each x, if x is a raven, then x is black. Singular Statement: There exists at least one x, such that x is a raven and x is not black. Conclusion: Not each x, if x is raven, then x is black. What needs to be kept in mind that the Universal statement has a logical equivalent as “No ravens are not black.” So it logically excludes a raven that is white, since white is the logical opposite of black, so it is not black. Popper shows that if we do accept a metaphysical principle (i.e. a universal statement) which is logically contingent, then it means it is possibly true or possibly false. And if we choose to invoke a metaphysical principle in our science, and we derive another universal statement from it, then when that derived universal statement is refuted by observation, then the universal statement and the one it was derived from are shown to be false. For example, assume that “All ravens on Earthare black” is a metaphysical principle. We may derive that “All ravens on Earth in in the United States are black”. When we observe that one particular raven on Earth in the United States is not black, which means that “All ravens on Earth in the United States are black” and “All ravens on Earth are black” are false. Metaphysical Statement: All ravens on Earth are black. Scientific Statement: All ravens on Earth in the United States are black. Observation: This raven on Earth in the United States is not black. Conclusion: Not all ravens on Earth in the United States are black & Not all ravens on Earth are black. This means that if someone believes that science holds to the metaphysical principle of induction, then it was shown to be false by scientific theories that are false. Now as a methodology there is nothing wrong with holding to it, because methodology makes no truth claim itself. Also, the example of causality is an example, if we take it as a metaphysical principle that science is based on. So this would mean that science would hold to this metaphysical principle and derive other statements from this principle and test them with experience or observation. From this we find that one of our theories made a false prediction, which means that the metaphysical principle of causality has been shown to be false by experience as well, and all other theories that were derived from the metaphysical principle, but have not been shown false yet, would also by logical implication be false. The same thing would hold with naturalism, physicalism, materialism, dualism, or the world is parsimonious or simple, or determinism, or indeterminism, or presentism and eternalism, and etc. Now science, or experience, would have never been able to verify these metaphysical principles in the first place. There would be no support for them to be derived from experience. It would still be logically possible for them to be true, but we cannot find out if they are actually true. Experience cannot help us to figure out if they are actually true or possibly true, no matter the amount of observations we make that are consistent with them. But science may use methodological principles in its activities, but holding to those methodological principles does not mean that one is logically obliged to hold to the metaphysical principles. What is even more interesting is that if we do try to make some sort of inductive argument, we could argue that since science has used metaphysical principle x, and science continually comes up with false theories, or refuted theories, it will continue to derive false theories from that metaphysical principle. But of course, once something was refuted we have shown that it is logically impossible to be true. However, we can still use it and we may derive “true” theories, or theories that have not been shown to be false by observation, yet. This is because anything follows from a logical contradiction. This means you can derive both true statements and false statements. So it would not be surprising if the metaphysical principle also helped you to derive theories that have not been shown false by observation as of yet (even though still logically possible to be shown false with next observation). Here is an example from basic logic which will rely on two basic rules of logical inference. These two rules are Disjunctive Addition and Disjunctive Syllogism. Rule 1 – Disjunctive Addition: Given that a statement is true, we can infer that a disjunction comprising it and any other statement is true, because only one disjunct needs to be true for the disjunctive compound to be true. Rule 2 – Disjunctive Syllogism: Because at least one disjunct must be true, by knowing one is false we can infer that the other is true. Premise: Either the New York Yankees will win the pennant or the Baltimore Orioles will. Premise: The Yankees will not win the pennant. Conclusion: Therefore, the Orioles will win the pennant. Logically possible Affirmation: The sun is shining. Logically possible Negation: The sun is not shining. The sun is shining. Therefore, by rule 1, The sun is shining or Ceasar was a traitor. But now the sun is not shining. Therefore, by rule 2, Ceasar was a traitor; The sun is not shinning. Therefore, by rule 1, The sun is not shinning or Ceasar was not a traitor. But now the sun is shinning. Therefore, by rule 2, Ceasar was not a traitor. Rule 1 allows you to pull up any premise you want, and be able to affirms this premise and also negate this premise by using Rule 2. So if you affirm a logical impossibility, anything and everything you want follows. They contain no “content” or “information” for empirical science. This is because empirical science wants to eliminate theories because they said something cannot happen and it was found that it did happen. 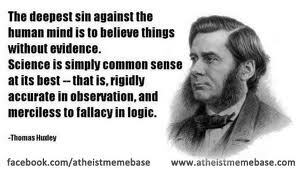 Since there is a contradiction, we know it is logically impossible for the theory to be true. This process of elimination, though, does not tell you which theories are true. It just says what is not true. There are still many other logically possible universal statements that have not been eliminated by singular statements, or observations, as of yet. (This will be updated at least 24 hours after posting or publication). Edits need to be done. This is a copy of an article from the journal The American Biology Teacher; Vol. 65, No. 6 (Aug., 2003), pp. 419-424. The article is called Strong Inference: The Way of Science, by Thomas B. Kinraideand R. Ford Denison. You can read the article here. “Valentine: It may all prove to be true. Hannah: It can’t prove to be true, it can only not prove to be false yet. Valentine: (Pleased) Just like science. Science teachers and science textbooks commonly introduce students to the scientific method in elementary and junior high school, but the study of scientific method and philosophy can be a life-long endeavor. Our essay concentrates on a particular aspect of the scientific method -the testing of hypotheses. Concepts of hypothesis testing have changed even within the relatively short period of modern science. Specifically, the concept of proof has been abandoned for reasons we shall describe. Although we can not prove hypotheses, we can almost certainly disprove some hypotheses, if they are false. To describe the modern method of hypothesis testing, we borrow the term “strong inference” from John R. Platt’s Science (1964) essay by the same name. In brief, strong inference is the method of testing a hypothesis by deliberately attempting to demonstrate the falsity of the hypothesis. A hypothesis that repeatedly withstands attempts to demonstrate its falsity gains credibility, but remains unproven. We are confident that our essay reflects the thinking of most scientists that hypotheses are potentially disprovable but not provable. Nevertheless, we qualify these views somewhat, arguing that neither proof nor disproof is certain. Even today, people rely upon alternative avenues to knowledge that may include intuition, revelation, and adherence to authority. We are reluctant still to use strong inference outside of enterprises that are recognizably scientific, and the application of strong inference to some beliefs may be impossible. Even when strong inference is possible, its application may be uncomfortable, and its application to the beliefs of others may be considered hostile. Challenges to authority and received wisdom may seem disloyal or arrogant. This reluctance to use strong inference follows understandably from the requirement that belief (or hypotheses) be subjected to deliberate attempts to demonstrate the falsity of the beliefs and by formulating and testing competing beliefs. Nevertheless, strong inference can be practiced with civility and can do much to offset our prejudices and natural gullibility. Hypothesis: [An explanatory] proposition tentatively assumed in order to draw out its logical or empirical consequences and so test its accord with facts that are known or may be determined. Inevitably, the burden of definition is shifted to other words. In the present case, “fact” is one of those words. Strong inference ultimately rests upon facts, and facts and hypotheses are sometimes confused with each other. Therefore, we shall consider first the concept of fact. Fact: An occurrence, quality, or relation the reality of which is manifest in experience or may be inferred with certainty. Here, too, the burden of definition is shifted to other words, among them, “experience” and “reality”. To deal with these terms we must concede that science rests upon a few basic assumptions. Science assumes that nature has a reality independent of the human mind, and science assumes that the human mind can grasp the reality of nature. These epistemological issues are rarely considered in the ordinary practice of science. The definition of fact indicates the existence of two kinds of fact- manifest fact and inferential fact. Again, some definitions may be helpful. Manifest: Capable of being easily understood or recognized at once by the mind: not obscure: obvious. Inference: The act of passing from one or more propositions…considered as true to another the truth of which is believed to follow from that of the former. Manifest facts are not highly dependent upon inference. We will call a fact that is highly dependent upon inference an inferential fact. To illustrate inferential and manifest facts, consider the case of a forest fire. If the fire occurred recently, then its occurrence is likely to be a manifest fact. It may have been observed by hundreds of people, and newspaper readers and television viewers are certainly being reasonable in accepting the occurrence of the fire as a manifest fact. What if the fire had occurred 200 years ago? Most scientist would accept as fact (inferential fact) that a fire had occurred in an area if several observations pointed, convergently, toward a fire. These observations might include the absence of any trees in the area older than 200 years (despite the presence of older trees in surrounding areas), the scarcity or absence of old wood on the forest floor, and the presence of an ash layer beneath the recent leaf and twig litter. Perhaps none of these observations was convincing by itself (the ash may have been blown in from another fire some distance away). Convergence of evidence is the clincher. In some cases, facts and hypotheses may be confused, but confusion may be avoided by remembering that a hypothesis is a candidate explanation, not a candidate fact. The statement “The Earth is spherical” in ancient times was a candidate fact, and in the present age of satellite photographs, and other evidence, the statement may be regarded as a manifest fact. The statement was also a hypothesis in ancient times, but only when used as an explanation for some other observation. Thus the statement “vertical objects cast shadows of different length at different latitudes because the Earth is spherical” is a hypothesis (a candidate explanation) and not merely a candidate fact. If we confuse a candidate fact for a hypothesis, then we may conclude mistakenly that hypotheses are provable. Another feature of scientific facts is that they are public; that is, a fact (especially a manifest fact) is accessible to all competent observers. The issue of competence is sometimes problematical. In science, public accessibility to facts is crucial even though comprehension of the facts is not always easy. The devotees of mystery cults may be entitle to both their own private opinions and their own private facts, but science disallows private facts. Despite the possibility of some success in science without the testing of hypotheses, science attempts to do more than just compile and describe. Science attempts to explain. This requires the formulation of hypotheses in a creative process that may require the investigator to think beyond readily available explanations. A good hypothesis must be explanatory, but it must have another feature too: It must be testable by strong inference. If it is false, it must be possible to show that it is false. A textbook that one of us (T.B.K.) assigned years ago as a college professor was The Study of Biology, 3rd Edition (Baker & Allen, 1977). The first two chapters of that book, The Nature and Logic of Science and Testing Hypotheses and Predictions, are excellent.The following case study was taken from that book. The Pacific salmon Oncorhyncus kisutch hatches in streams in the Northwest, swims to the sea, then eventually, returns to streams to spawn. We may ask, and answer, the question “Do individual fish return to the stream of their birth?” without formulating an explanatory hypothesis. Tagging experiments have confirmed the fact that the fish predominantly do return to their natal streams. In order to determine how the fish do this, we can proceed in one of two ways. We can continue to study the fish, compiling facts in the hope that an answer may emerge. Sometimes “fishing expeditions” such as these can lead to serendipitous results, but eventually strong inference (hypothesis formulation and testing) is usually needed. Platt, in the Science article cited above, makes an important suggestion: Formulate more than a single hypothesis. With more than one hypothesis, the investigator is less likely to adopt a “pet” hypothesis to which he/she becomes emotionally attached, and the necessary attempt to demonstrate the falsity of the hypotheses is less worrying- perhaps one will survive. Incidentally, the negation of a significant hypothesis is a significant contribution to science. 1. Salmon find their way back by using their sense of sight. 2. Salmon find their way back using their sense of smell (detecting dissolved substances from their birth streams). Hypotheses are formulated on the basis of prior knowledge, and we know that fish both see and smell. The hypotheses just stated were rather obvious possibilities, but the formulation of hypotheses may be very difficult. The observations for which an explanation is sought may be a very strange (divorced from ordinary experience). Sometimes a hypothesis may be formulated that seems very good because it is compatible with almost all of existing knowledge, but not all of it. In that case, we must consider that the hypothesis, however attractive, may be wrong or that some of the accepted knowledge is wrong. The next step in strong inference is to test the hypotheses. That is done by deliberately subjecting them to jeopardy, that is, by attempting to demonstrate their falsity. In our fish story, each of the two hypotheses has logical consequences that give rise to predictions as to the outcome of certain experiments. The hypotheses and the predictions are often stated together in if…then… statements. It is very important to make these statements explicit. Such a formulation applied to our example may be “if salmon find their way back using their sense of sight, then salmon with shielded eyes (black plastic discs were used in an actual experiment) will predominantly fail to find their birth streams.” The salmon did, in fact, find their way back in experiment, and the hypothesis was thus considered to be false. The alternative was tested after formulating the statement “If salmon find their way back using their sense of smell, then salmon with a blocked sense of smell (benzocaine ointment was used) will predominately fail to find their birth streams.” This prediction came true, and the second hypothesis was regarded as supported, but not proved. The problem is that even false hypotheses may sometimes give rise to correct predictions. For example, consider the false hypothesis that salmon find their way back to their birth streams by the sense of sight. This gave rise to the prediction that sightless salmon will predominantly fail to find their birth streams. This prediction turned out to be incorrect in the experiment cited earlier, but conceivably the prediction could have been correct. Suppose blindfolded salmon were so traumatized by the blindfolding operation that they did not try to return or that they became so confused without their sight that they ignored their sense of smell and swam off randomly from their release site. In such cases the prediction would have been correctly fulfilled. Is the hypothesis in that case “proved?” Certainly not, though the investigators may claim support for their sight hypothesis if they failed to observe the trauma or the confusion. A logical truth table presented by Baker and Allen, and others, shows the relationship. According to the table, an incorrect prediction always corresponds to a false hypothesis, but a correct prediction can come from either true or a false hypothesis. Because of these relationships, hypotheses are often regarded as potentially disprovable (falsifiable) but rarely proveable. How then do some hypotheses come to be regarded as true? A hypothesis is supported, but not proved, when repeated attempts to negate the hypothesis fail, when competing hypotheses are discredited, and when additional facts (not used in the initial development of the hypothesis) are successfully embraced by the hypothesis. In the case of the fish, the smell hypothesis withstood an opportunity for disproof, and the competing sight hypothesis was disproved. Still, the smell hypothesis is not proved. Perhaps smell plays no role, and a third sense is the key. Perhaps the benzocaine treatment so traumatized the fish that they could not function properly, or perhaps the benzocaine knocked out the third sense. These worried lead to additional hypotheses, predictions, experiments, and facts. Another way considering the general unprovability of hypotheses is that no hypothesis can be considered proved if an alternative hypothesis, that excludes the possibility of the first hypothesis and is equally compatible with the facts, is possible. Since we can never be sure that we have considered all possible hypotheses, proof remains unattainable. 1. Only salmon of a particular body type are able to navigate a particular stream and that is why they look alike. 2. Salmon return to their natal streams to spawn and look alike because they are genetically similar. The “fact” that salmon do return to their natal streams establishes the truth of the statement “Salmon return to their natal streams,” but this statement was a candidate fact, not a hypothesis, and the second hypothesis remains unproved. Although scientists often refer to the disprovability of hypotheses (as we have), we contend that disproof is uncertain also. The reason for this requirement for the prediction of logical consequences in the testing process, but we can never be certain that our predicted consequences are logical. As an example let’s return to one of our if…then… statements. “If salmon find their way back using their sense of smell, then the Red Sox will win the World Series.” If the Red sox failed to win, we should have concluded falsely, that the hypothesis was false. The Red Sox example used a preposterously illogical prediction, but some illogical predictions are not so obviously illogical, and the problem is not trivial in some cases. Sometimes scientists disagree over the cogency of a predicted outcome, especially in complex situations where variables are hard to control (see The Triumph of Sociobiology by John Alcock  for interesting discussions of some uncertainties and controversies). An outcome that constitutes adequate grounds for the rejection of a hypothesis for one investigator may be viewed as inadequate by another investigator. The problem of the illogical prediction can be illeviated by testing additional predictions and by the public critique of the methods and conclusions. (The initial stage of public critique is the expert “peer review” of scientific manuscripts prior to publication. See the Acknowledgement in this essay.) Despite the uncertainty of disproof, scientists accept the qualified use of terms such as “disproof”, “falsification,” and “negation,” but not the term “proof”. Theory: The coherent set of hypothetical, conceptual, and pragmatic principles forming the general frame of reference for a field of inquiry. The term theory implies that the component hypotheses are very likely to be true and that together are important and comprehensive. Theories, like well-supported hypotheses, give rise to predictions that are consistently correct, but in the case of theories the range of predictions is often wider than the range of predictions for hypotheses. Theories come to provide a conceptual framework for scientific thought. Some examples include The Atomic Theory, The Theory of Evolution, The Germ Theory of Disease, The Theory of Relativity, and The Quantum Theory. Despite their high status, theories are still hypothesis-like (perhaps we could call them metahypotheses), and as such they are necessarily vulnerable. That is, they must be testable, and potentially falsifiable. Will Strong Inference Always Work? Some issues that would seem to be accessible by strong inference remain controversial because of emotional involvement, inadequacy of definitions, or a variety of technical difficulties. For example, a few scientists and public policy makers refute to acknowledge that HIV is the causative agent of AIDS, and the causes, and even the occurrence, of global warming remain controversial. For many people, science is not the only pathway to knowledge. For them, propositions may rest upon personal revelation or upon religious authority, to cite just two additional pathways to knowledge. For the faithful, faith propositions are considered to be truths, not hypotheses. With regard to the term hypothesis, believers and scientists are in agreement. In most cases, neither scientists (many of whom are religious) nor religious believers (some of whom are scientists) consider religious beliefs to be hypotheses; believers because they consider applying the term to religious teachings to be belittling, and scientists because the term hypothesis can be applied only to statements that their adherents are willing to subject to possible disproof. Although not scientific, faith propositions are not necessarily in conflict with science, but they may be. A tenet of faith that cannot be accessed by strong inference because it is beyond the technical or epistemological scope of science is not in conflict with science. Examples include doctrines that claim consciousness in inanimate objects, a purpose to life, or rewards or punishments after death. Science cannot now address these propositions, although it may be able to do so in the future (formerly, only faith, not science, could address such issues as the cause of disease, the change of seasons, and the formation of stars). Some faith propositions are clearly in conflict with science. A tenet of faith that can be accessed by strong inference may be, but is not necessarily, in conflict with science. The indigenous religion of Hawaii provides a fascinating case study. At the time of European discovery, Hawaiian society was encumbered by hundreds of taboos whose violation was though to ensure calamity for individuals and society (Malo, 1959). This religion disintegrated quickly as Hawaiians observed that Europeans (and Hawaiians influenced by Europeans) could violate the taboos and live to tell about it. The Hawaiian nobility quickly embraced the religion of the Europeans and ordered the destruction of idols and the abandonment of many taboos. The causes of this religious transition are complex, but the obvious conflict between reality and some of the faith propositions surely played a role. 1. Observed and inferred facts inspire a question. 2. The question inspires one (or preferably more) hypotheses. This is a creative process. Several hypotheses may be proposed, and they need not have a high likelihood of being supported, but a good hypothesis must be an explanatory statement that is testable. 3. The hypotheses are deliberately subjected to jeopardy (falsification) by, first, stating the logical consequences of the hypotheses. Statements in the form “if (the hypothesis), then (the consequences)” are useful. 4. Next, the accuracy of the predicted consequences are tested by the acquisition of new facts from experimentation, or observation, or from the body of known facts not already used to formulate the hypotheses. 5. Incompatibility between prediction and outcome leads to the rejection of hypotheses, and compatibility leads to tentative acceptance. In all cases, repeated incompatibility or compatibility from separate lines of testing is desirable. 6. The hypotheses, together with the facts and the record of the inferential process, are submitted to public scrutiny and may become accepted into the body of public knowledge. 8. A hypothesis, or more often a collection of complementary hypotheses, may become incorporated into a theory. This comes from the book Biology 6th edition by Raven and Johnson. It is from page 7 to page 9. “How do scientists establish which general principles are true from among the many that might be true? They do this by systematically testing alternative proposals. If these proposals prove inconsistent with experimental observations, they are rejected as untrue. After making careful observations concerning a particular area of science, scientists construct a hypothesis, which is a suggested explanation that accounts for those observations. A hypothesis is a proposition that might be true. Those hypotheses that have not yet been disproved are retained. They are useful because they fit the known facts, but they are always subject to future rejection if, in the light of new information, they are found to be incorrect. We call the test of a hypothesis an experiment (figure 1.4). Suppose that a room appears dark to you. To understand why it appears dark, you propose several hypotheses. The first might be, “There is no light in the room because the light switch is turned off.” An alternative hypothesis might be, “There is no light in the room because the light bulb is burned out.” And yet another alternative hypothesis might be, “I am going blind.” To evaluate these hypotheses, you would conduct an experiment designed to eliminate one or more of the hypotheses. For example, you might test your hypotheses by reversing the position of the light switch. If you do so and the light does not come on, you have disproved the first hypothesis. Something other than the setting of the light switch must be the reason for the darkness. Note that a test such as this does not prove that any of the other hypotheses are true; it merely demonstrates that one of them is not. A successful experiment is one in which one or more of the alternative hypotheses is demonstrated to be inconsistent with the results and is thus rejected. As you proceed through this text, you will encounter many hypotheses that have withstood the test of experiment. Many will continue to do so; others will be revised as new observations are made by biologists. Biology, like all science, is in a constant state of change, with new ideas appearing and replacing old ones. This diagram illustrates the way in which scientific investigations proceed. First, scientists make observations that raise a particular question. They develop a number of potential explanations (hypotheses) to answer the question. Next, they carry out experiments in an attempt to eliminate one or more of these hypotheses. Then, predictions are made based on the remaining hypotheses, and further experiments are carried out to test these predictions. As a result of this process, the least unlikely hypothesis is selected. Often we are interested in learning about processes that are influenced by many factors, or variables. To evaluate alternative hypotheses about one variable, all other variables must be kept constant. This is done by carrying out two experiments in parallel: in the first experiment, one variable is altered in a specific way to test a particular hypothesis; in the second experiment, called the control experiment, that variable is left unaltered. In all other respects the two experiments are identical, so any difference in the outcomes of the two experiments must result from the influence of the variable that was changed. Much of the challenge of experimental science lies in designing control experiments that isolate a particular variable from other factors that might influence a process. A successful scientific hypothesis needs to be not only valid but useful—it needs to tell you something you want to know. A hypothesis is most useful when it makes predictions, because those predictions provide a way to test the validity of the hypothesis. If an experiment produces results inconsistent with the predictions, the hypothesis must be rejected. On the other hand, if the predictions are supported by experimental testing, the hypothesis is supported. The more experimentally supported predictions a hypothesis makes, the more valid the hypothesis is. For example, Einstein’s hypothesis of relativity was at first provisionally accepted because no one could devise an experiment that invalidated it. The hypothesis made a clear prediction: that the sun would bend the path of light passing by it. When this prediction was tested in a total eclipse, the light from background stars was indeed bent. Because this result was unknown when the hypothesis was being formulated, it provided strong support for the hypothesis, which was then accepted with more confidence. Scientists use the word theory in two main ways. A “theory” is a proposed explanation for some natural phenomenon, often based on some general principle. Thus one speaks of the principle first proposed by Newton as the “theory of gravity.” Such theories often bring together concepts that were previously thought to be unrelated, and offer unified explanations of different phenomena. Newton’s theory of gravity provided a single explanation for objects falling to the ground and the orbits of planets around the sun. “Theory” is also used to mean the body of interconnected concepts, supported by scientific reasoning and experimental evidence, that explains the facts in some area of study. Such a theory provides an indispensable framework for organizing a body of knowledge. For example, quantum theory in physics brings together a set of ideas about the nature of the universe, explains experimental facts, and serves as a guide to further questions and experiments. To a scientist, such theories are the solid ground of science, that of which we are most certain. In contrast, to the general public, theory implies just the opposite—a lack of knowledge, or a guess. Not surprisingly, this difference often results in confusion. In this text, theory will always be used in its scientific sense, in reference to an accepted general principle or body of knowledge. To suggest, as many critics outside of science do, that evolution is “just a theory” is misleading. The hypothesis that evolution has occurred is an accepted scientific fact; it is supported by overwhelming evidence. Modern evolutionary theory is a complex body of ideas whose importance spreads far beyond explaining evolution; its ramifications permeate all areas of biology, and it provides the conceptual framework that unifies biology as a science. It used to be fashionable to speak of the “scientific method” as consisting of an orderly sequence of logical “either/or” steps. Each step would reject one of two mutually incompatible alternatives, as if trial-and-error testing would inevitably lead one through the maze of uncertainty that always impedes scientific progress. If this were indeed so, a computer would make a good scientist. But science is not done this way. As British philosopher Karl Popper has pointed out, successful scientists without exception design their experiments with a pretty fair idea of how the results are going to come out. They have what Popper calls an “imaginative preconception” of what the truth might be. A hypothesis that a successful scientist tests is not just any hypothesis; rather, it is an educated guess or a hunch, in which the scientist integrates all that he or she knows and allows his or her imagination full play, in an attempt to get a sense of what might be true. It is because insight and imagination play such a large role in scientific progress that some scientists are so much better at science than others, just as Beethoven and Mozart stand out among most other composers. Some scientists perform what is called basic research, which is intended to extend the boundaries of what we know. These individuals typically work at universities, and their research is usually financially supported by their institutions and by external sources, such as the government, industry, and private foundations. Basic research is as diverse as its name implies. Some basic scientists attempt to find out how certain cells take up specific chemicals, while others count the number of dents in tiger teeth. The information generated by basic research contributes to the growing body of scientific knowledge, and it provides the scientific foundation utilized by applied research. Scientists who conduct applied research are often employed in some kind of industry. Their work may involve the manufacturing of food additives, creating of new drugs, or testing the quality of the environment. After developing a hypothesis and performing a series of experiments, a scientist writes a paper carefully describing the experiment and its results. He or she then submits the paper for publication in a scientific journal, but before it is published, it must be reviewed and accepted by other scientists who are familiar with that particular field of research. This process of careful evaluation, called peer review, lies at the heart of modern science, fostering careful work, precise description, and thoughtful analysis. When an important discovery is announced in a paper, other scientists attempt to reproduce the result, providing a check on accuracy and honesty. Nonreproducible results are not taken seriously for long. The explosive growth in scientific research during the second half of the twentieth century is reflected in the enormous number of scientific journals now in existence. Although some, such as Science and Nature, are devoted to a wide range of scientific disciplines, most are extremely specialized: Cell Motility and the Cytoskeleton, Glycoconjugate, Journal, Mutation Research, and Synapse are just a few examples. The scientific process involves the rejection of hypotheses that are inconsistent with experimental results or observations. Hypotheses that are consistent with available data are conditionally accepted. The formulation of the hypothesis often involves creative insight. This blog is going to deal with logically necessary and logically possible. This is slightly different from Avicenna, but mostly based on Modal Logic, or some of the basic ideas of Modal Logic. Because it is a form of logic, it also deals with one of the foundations of logic. Logic is concerned with statements, and the inferences that we draw from these statements. It is about having a couple of statements, and seeing if we can draw another statement with those statements that we accept. Logic helps give us some rules to follow in order to say that we drew a statement from the other statements that we held to, in a correct manner. Law of Identity is “every individual thing is identical to itself”. Law of Excluded Middle is “every statement is either true or false”. Law of Non-Contradiction is “given any statement and its opposite, one is true and the other false”. And with possibility and necessary, they are mostly based on the Law of Non-Contradiction. Possible means not self-contradictory. For example, “The sun won’t rise tomorrow” or “I ran a 2 minute mile” are possible. There’s nothing logically self-contradictory there. Necessary means self-contradictory to deny, which are based on logic, meaning of concepts, or necessary connection between properties. For example, “2+2=4” or “a bachelor is an unmarried male”. A possible world is “a consistent and complete description of how things might have been or might in fact be.” A possible world is a consistent world, and this means that the statements that describe a possible world don’t entail self-contradiction. We can’t have statement X of possible world N and statement ~X of possible world N, being both affirmed at the same time like “statement X of possible world N and statement ~X of possible world N”. To do this would be to affirm a contradiction, or show that that possible world couldn’t exist because it’s a contradictory world. But the actual world is a description of how things in fact are. Yet, it would seem, that the actual world has to be consistent as well, which means there are no self-contradictions in the world. So the actual world is a possible world itself. One of the difference between necessary and possible is that necessary statements are known to be true or false without experience. This means that information obtained from observation or sense-perception play no rule in determining if the necessary statement is true. This means we can know that a statement is true without recourse to evidence supplied by observation. But possible statements are known to be true or false with experience. This means that information from observation or sense-perception plays a part in determining if the possible statement is true. This means we know that a statement is true with recourse to evidence supplied by observation. From this idea of possible and necessary, we can say there are three types of statements. There are necessary statements, impossible statements, and contingent statements. A necessary statement is a statement that couldn’t be false. A impossible statement is a statement that couldn’t be true. A contingent statement is a statement that could be true or could be false, or could have been true or could have been false, or could be true in the future or could be false in the future. So take “a bachelor is an unmarried male”. This is a necessary statement and means it’s necessarily true. But now say that I say “a bachelor isn’t an unmarried male”. This is a impossible statement, and means it’s necessarily false. To actually affirm the second statement is to affirm something that is false. Now say that I affirm “Justin Bieber is a bachelor”. That statement is a contingent statement. This means that Justin Bieber is a married male or isn’t a married male. The only way we could tell which of the two propositions is true is through experience. As Raymond D. Bradley said, “Our own world – the real world, the actual one – is just one of many possible worlds. Indeed, it is just one of infinitely many, since for any possible world containing say n atoms there is another logically possible world containing n+1 atoms, and so on ad infinitum.” So there are an infinity of possible worlds, or possible ways of describing what might have been or what might be. Say we have the possible world of N, and within this world it contains M and M contains 140 particular things that are M. That is one possible world, but anther possible world, which is logically contradictory from N, and we can call it N*, contains 141 particulars in M. But 140 is logically contradictory from 141. So N is one possible world and N* is a different possible world, but they are logically contradictory from one another.We can continue on doing this infinitely, and so there’s an infinity of possible worlds. Now science is concerned with contingent statements. This is because science is said to be empirical. The quotes, in order of the authors, are from Richard Feynman, Pierre Duhem, Stephen Hawking, and Henir Poincare: “The principle of science, the definition, almost, is the following: The test of all knowledge is experiment. Experiment is the sole judge of scientific “truth.””; “Agreement with experiment is the sole criterion of truth for a physical theory.”; “[the] scientific method…w[as]…developed with goal of experimental verification.”; “Experiment is the sole source of truth. It alone can teach us something new; it alone can give us certainty. These are two points that cannot be questioned.” Now experiment is based on coming to human sense-perception. This can be anything from looking at the squirrel climbing a tree to reading the numbers off of a volt-meter. The reason that science wants to deal with contingent matters, besides dealing with sense-perception, is that science likes to try to have the ability to be shown that the theories are false. But if science only dealt with necessary statements, then scientific statements could never be shown to be false. For if a statement was presented that said a necessary statement was false, that statement would be an impossible statement and necessarily be false. But a contingent statement can be shown to be false. So science creates a model of what is possible, and what happens in this possible world. And we can deduce what should be observed if this possible world is the actual world. We have the possible world of N. But N is our model. So, “If N then O. O. Therefore N.” This is the fallacy of affirming the consequent. Just because the model has a true prediction in the actual world, that doesn’t mean that the model is how the actual world is. In other words, just because this possible world (model) had one right prediction of how the actual world is (which is also another possible world), doesn’t mean that this actual world is that possible world. It also wouldn’t matter if the model has made nothing but correct predictions up till now, because the problem is still there. This seems to raise a skeptical problem. This blog will be taking some of the British Empiricists David Hume’s doctrine, and seeing how modern science would be judged from such a doctrine. David Hume’s place is that of an empiricist, which means that he says that knowledge of matters of fact are to be comes from the senses. From this stand point, we can see how modern science would be judged from an empiricist position. I will be using some of his stated position from Treatise of Human Nature and Enquiry Concerning Human Understanding. Hume starts out the Treatise of Human Nature (ToHN) by presenting his Fork, or Hume’s Fork. This divides knowledge into two different sorts. He also presents it in his An Enquiry Concerning Human Understanding (ECHU). They are both, respectively, as follows. Hume goes on to state, in short, that sensations are impressions. These would count as our senses of sight, touch, taste, smell and sound. These are our contact with the world, or what we can only know of the world. It is the most immediate thing that is present to our consciousness. It is what informs us. Ideas are those of thought, which is like me sitting here and wondering, “I wonder what Shaquille O’Neal is going to do now that he retired from the NBA”. The difference between them are the force that they come to my consciousness. The sensation of touch is not as lively as my hands touch the keyboard as the thoughts I have, like the example that I gave. I can ignore my thoughts, but I cannot ignore my senses. Hume, in the Treatise, goes on to break down Impressions and Ideas into simple and complex. A simple impression would be that of a color, like, say, the color red. A complex impression would be something like, say, an apple. A complex impression can be broken down into simple impressions, but a simple impression cannot be broken down. Thus, we find that simple impressions are like bricks, and these bricks are joined to form a house. The house is complex, yet the bricks are not complex. This distinction between simple and complex also hold with ideas. Thus, I have the simple idea of red. I also have the complex idea of an apple. This idea of an apple has simple ideas like, red, sweet, hard, and round. Yet each of these things just listed are simple ideas. In order to get a better idea of this, we can go to the original source of such an idea that Hume comes up with, which comes from George Berkeley. This comes from George Berkeley’s A Treatise Concerning the Principles of Human Knowledge. Hume goes on to tell us, through his empiricist epistemology, that impressions go ahead ideas. He also goes on to say that, generally, ideas are derived from impressions. I cannot have the idea of green without first having the impression of green. Thus, we find there is an asymmetrical relationship. Every simple idea has a correspondence with a simple impression. But he does go on to say that many complex ideas don’t correspond with complex impressions. I can have the complex idea of a city of gold and diamonds, yet I do not have a complex impression of a city of gold and diamonds. I form such an idea through my imagination. I do this by combining simple ideas, which are copies of simple impressions, into a complex idea that I have not experienced myself. Hume also goes on to bring about a major distinction, which is related to that of ideas and impressions. This is his Matter of Fact and Relation of Ideas. This is related to Leibinz’s distinction of Truth of Fact and Truth of Ideas. This has been a major distinction in epistemology ever since it was brought about, and took a major critic by W.V. Quine in his Two Dogmas of Empiricism. “All the objects of human reason or enquiry may naturally be divided into two kinds, to wit, Relations of Ideas, and Matters of Fact. Of the first kind are the sciences of Geometry, Algebra, and Arithmetic; and in short, every affirmation which is either intuitively or demonstratively certain. That the square of the hypothenuse is equal to the square of the two sides, is a proposition which expresses a relation between these figures. That three times five is equal to the half of thirty, expresses a relation between these numbers. Propositions of this kind are discoverable by the mere operation of thought, without dependence on what is anywhere existent in the universe. Though there never were a circle or triangle in nature, the truths demonstrated by Euclid would for ever retain their certainty and evidence. So a matter of fact would be something like this, “The white crow ate a white squirrel”. A relation of idea would be something like this, “All bachelors are unmarried males”. The easiest way to understand this is based on the contradiction. A relation of idea is a statement that would be contradictory to deny. A matter of fact is a statement that there’s no contradiction in denying it. Thus, I could deny “The white crow ate a white squirrel”. However, I cannot deny that “all bachelors are unmarried males” without forming a contradiction. This is the difference between contingent statements and tautological statements. A contingent statement is a statement that, when you check their truth table, it is true in at least one row of the truth table. A tautological statement is a statement that, when you check their truth table, it is true in every row of the truth table. Thus, the difference is contingent/not self-contradictory to deny and tautology/self-contradictory to deny. The other major difference is that one is based on the senses and the other is based on thoughts alone. Thus, a relation of idea is true based on the words that one uses and is not based on the senses. Mathematics and Logic are based on relation of ideas. Hume goes on to show that matters of fact are based on causality, and that this holds between our sensations. He also goes on to state that it is based on induction. Hume is known, or infamous, for his critique on causality and induction. He basically said that we never experience causality in our sensations, and that induction begs the question and relies on an assumption that is not given in experience. This would lead one to think that this dissolves the matter of fact. This would be true if Hume did not invoke a psychological stance known as Custom of Habit. We notice one thing follow another (causality), and we notice this many time (induction), that we come to say that one is caused by the other. Take the example of fire and smoke. I start a fire (A) and I see smoke (B). Hume tells us that we see two different things. Start fire. See smoke. We find that fire is followed by smoke. This means nothing by itself if we only experience it once. However, when we experience it many times, then we come to combine them together through custom of habit. Now, when I see a fire, I come to expect to see smoke. If I see smoke, then I conclude that there is a fire. This is something that is not found in the senses. It is something that the mind imposes onto the sensations. Hume also calls this Constant Conjunction. There is a simple logical inference that works just like this. This inference is called Conjunction. The symbolic form follows like thus: (1.) A, (2.) B; (C.) A&B.The inference follows like thus in sentences: (1.) See fire, (2.) See smoke; (C.) See fire and See smoke. We see these things so often in experience that we make this conjunction constantly. Thus, it is a constant conjunction. And another side note, we combine these two single events and can put them in a conditional statement of, If see fire then see smoke. We combine these two separate events and form a causal line or reasoning when we notice it more often through experience. Science will collect all sorts of sensory information, and categorize it to make it easier to understand and use. Thus, we can come across a white swan and investigate it and learn new things. We will collect this information and put it under the class of a swan, and then put some of the other information under as a sub-class of a swan. Like they are sexual creatures, lay eggs, and eat certain creatures.We will find categorical statements like, “Swans lay eggs”, “Swans have wings”, “Swans having mating rituals”, and etc. One of the most important things of science is prediction. It is actually one of the most important things, if not the most important. It will predict what we shall observe with our senses. This is known as testability. In order to be a scientific hypothesis, the hypothesis must make predictions of what we shall observe with our senses. For example, a girl who is a friend of mine could come up to me with something that is on her mind. She could say, “I think my boyfriend is cheating on me.” I could come up with a hypothesis to help her with this problem, and maybe solve it. I could say, “If your boyfriend is cheating on you, then you will smell perfume on his clothes when he comes back from a late night out on the town.” The consequence of my hypothesis is testable. She can smell him when he comes back from a late night out on the town. Now science creates hypothesis. So what are hypothesis? “A hypothesis is a tentative statement, subject to investigation, that is advanced to explain an event or relate facts in a given context….Hypothetical reasoning is the process of inferring certain implications from a hypothesis and then making observations or conducting experiments to decide whether these implications are true.” (Logic: An Introduction). Science comes up with hypothesis that collect all of our observations together, and helps make predictions. They are general in character, and can be applied almost universally into anything that meets those same conditions. There is also statistical induction, which just moves from past observations to stating the statistical probability of the conclusion. In past observations I have found that I have gotten heads 50% of the time when I flipped it. Thus, I predict that there is a 50% chance I will get heads when I flip a coin. Now what I have gone through is a just a rough outline of science, but it does cover some of the big points of science. But there are two things that I did leave out. (1.) Science likes to use causal reasoning to explain things, and (2.) Science invokes many unobservables to explain our experiences. (1.) and (2.) are related closely, but they are not exactly the same. I can causally explain that I hear a loud sound because a gun went off. I could observe a gun being fired and hear the sound from the gun, and say the sound I heard based on the gun being fired. However, I cannot observe atoms but I can observe what the atoms supposedly caused, like streaks in a cloud chamber. Now we cannot use inductive arguments to move from observed to what can never be observed with the senses. For example, I cannot move from what I experience with my senses to make the inductive generalization or inductive argument, to something that I can never observe with my senses. Thus, induction only works from what is observed to what can be observed. So how do we come up with hypothesis that deal with what is unobserved? We use deductive arguments. Deductive arguments carry the form of a conditional statement. A conditional statement carries this form: X→Y. [As a side note, logically, we can turn an inductive conclusion into a conditional statement: All X is Y↔ (X→Y)]. The antecedent of the conditional statement, X, is based on something that is unobservable. Its something that we can never experience with our senses. However, through much logical reasoning, we deduce an observable consequent (something we can observe with our senses), which is Y. Thus, science starts out with induction, and then eventually moves to deduction. Now, we have already gone over the problem of causality, or light touched on it. However, we only dealt with causation based on what can be observed. We have dealt with causality with what can be observed by the senses at some time. Thus, if I were to use a conditional statement, X→Y, then we can observe both X and Y. But now science has moved on to reasoning where we cannot observe both X and Y. We can only observe Y. What does David Hume have to say on such reasoning? Now he is saying that our impressions, divided into sensations (something I did not mention, but does not affect anything that has been said on his position), come from causes that we do not know where from. We cannot know where they come, when our senses do not tell us where they came from. He further adds on something else. So we find that causality holds between what we observe. I see fire and I see smoke. Thus, crudely, I think that fire caused the smoke. But now, when we invoke a cause of something that we observe, which has no observable cause like smoke has the cause of fire, we can make no conclusion. I cannot know what causes my sensations, and I cannot know what unobservable things, if any, are causing what I observe. Thus, going with this conditional statement of a hypothesis based on deduction, X→Y, we are found to have it really looking like this, ?→Y. That seems like an intuitive answer, but it is not a very good one, as Hume would think. Why is that? Because there can be many causes for what we observe, and so we have no reason to accept the hypothesis we have now other than it is the only one we have developed systematically. I have stressed the hypothetical character of science, and so I will give a truth table of such a hypothetical character. Notice line 1 and 3 of the truth table. Both lines of that truth table show that the consequent is true. However, they both disagree over the truth of the antecedent of the conditional statement. Now the third line shows that there could be a different unobservable leading to the same observable consequent. In fact, from a logical point of view, there are an infinity of other unobservables that lead to the same observable consequent. Now someone could say, “Yes, for each situation there could be other causes that lead to that specific observation, but we have hypothesis that lead have one cause for many different observations of different sorts.” Yes, this is true. The problem is that the same problem holds. Let us hear what W.V. Quine had to say on this. Jane Enlgish also had this to say on the same issue. All these different potential hypothesis, would all have the same observable consequents, and thus cover the same situations, but all have different unobservables. They would also all have the same probability, and so we cannot know which one is true. All we can know is what we observe with our senses. The rest of it would be unknown, it would be ?→Y. All Hume would care about would be that the consequents are true. That is all we can know, and the rest is unknown to us. There is also one question that Hume asks in his Enquiry, which would itself show that the ideas are not based on experience. So when we are told that atoms exist or that atoms do such-and-such, we may ask, “from what impression (sensation) is that supposed idea derived?” The answer will be that it came from streaks in a cloud chamber. But another question would be, “How did you arrive that it was these atoms and not something else?”. In the end, we have nothing to rely on for such an idea. There is no impression, and it is based on relation of ideas that we apply to the senses. Now there is no matter of fact that atoms caused what we observed in the cloud chamber. It is not based on causality, and it is not even arrived at by observation. It is an invention of the imagination to account for what we do observe, and is a tool that we use to predict to future observations. It also helps in the systematization and organization of all those categorical statements that we do have. Also, these unobservables would be based on relation of ideas, which means that they are true by definition. This is because science has to give a precise definition to the concepts that they invoke, like mathematicians do, and from these well-defined concepts, come to deduce certain observable consequences. Thus, they are very similar to tautologies. They become formal systems that we change certain parts of the sentences when an observation goes counter what is predicted, and this will help account for the observation or we make an ad hoc addition. Here is an example of what philosopher of science Ronald Giere has to say on how science has took on the Relation of Ideas that David Hume brings up. David Hume was also a nominalist, and this means that he did not believe that general ideas existed. This is when we abstract certain qualities away from the impressions of the senses, and say that they exist on their own. We find an example of this with George Berkeley, which David Hume also followed. And as the mind frames to itself abstract ideas of qualities or Modes, so does it, by the same precision or mental separation, attain abstract ideas of the more compounded Beings which include several coexistent qualities. For example, the mind having observed that Peter, James, and John resemble each other in certain common agreements of shape and other qualities, leaves out of the complex or compounded idea it has of Peter, James, and any other particular man, that which is peculiar to each, retaining only what is common to all, and so makes an abstract idea wherein all the particulars equally partake–abstracting entirely from and cutting off all those circumstances and differences which might determine it to any particular existence. And after this manner it is said we come by the abstract idea of Man, or, if you please, humanity, or human nature; wherein it is true there is included colour, because there is no man but has some colour, but then it can be neither white, nor black, nor any particular colour, because there is no one particular colour wherein all men partake. So likewise there is included stature, but then it is neither tall stature, nor low stature, nor yet middle stature, but something abstracted from all these. And so of the rest. Moreover, their being a great variety of other creatures that partake in some parts, but not all, of the complex idea of Man, the mind, leaving out those parts which are peculiar to men, and retaining those only which are common to all the living creatures, frames the idea of Animal, which abstracts not only from all particular men, but also all birds, beasts, fishes, and insects. The constituent parts of the abstract idea of animal are body, life, sense, and spontaneous motion. By Body is meant body without any particular shape or figure, there being no one shape or figure common to all animals, without covering, either of hair, or feathers, or scales, &c., nor yet naked: hair, feathers, scales, and nakedness being the distinguishing properties of particular animals, and for that reason left out of the ABSTRACT IDEA. Upon the same account the spontaneous motion must be neither walking, nor flying, nor creeping; it is nevertheless a motion, but what that motion is it is not easy to conceive. What science does it it abstracts away certain qualities in our impressions, and says that they exist away from what we experienced. These are things like shape, motion, and existing in space. However, we have no experience that such things exist, or that it is as said. They are just abstract ideas that have no basis on experience, and are not based on causality but relation of ideas. Science uses these in creating some of their hypothesis, and are thus unobservable, since we only experience them with colors and etc. They are not based on complex impressions, let alone simple impressions. Thus, these are complex ideas that are not based on anything but the imagination. All Hume would care about, and could accept, was that it had true predictions. That means no matter what the hypothesis talked about, the only thing that mattered was that the predictions worked. That is all we could ever know, and that is what was most important, since it had direct results on the world that we know and move in. We do not know if the unobservables exist or not, and it does not matter. All that matters is that we use the hypothesis as instruments to organize our experiences and predict our experiences. Once the hypothesis leads to an observable result, we can use induction from there on out. Here is a quote from Alfred J. Freddoso talking on David Hume’s views of science. We can probably see what Hume would say about science with this quote from Stephen Hawking in his new book The Grand Design.